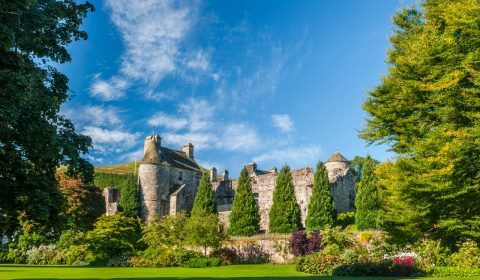 Since 2000 , The National Trust for Scotland’s U. S. friends group has raised funds for the preservation and protection of the country’s historic, architectural, and environmental treasures. Celebrating its 15th anniversary during 2015, the Boston-based non -profit organization contributed more than $7 million from donors in the United States to assist with the critical work of preserving and protecting Scotland’s cultural treasures. The National Trust for Scotland, founded in 1931, is Scotland’s largest and most active conservation organization. Modeled after the 116 year-old Massachusetts-based Trustees of Reservations www.ttor.org, the oldest land preservation organization in the world, the National Trust for Scotland currently owns and manages 129 visitor properties on 200,000 acres of land. Holdings include islands, museums, sensitive ecological environments, country houses, castles, battlefields and coastlines. The U.S. Foundation, with a professional staff including development, communications, and marketing specialists, connects donors more closely to the work of the National Trust for Scotland and, often, to their Scottish heritage. Special events, including an annual gala in New York City, bring together board members and supporters from throughout the U.S. who know, love and support Scotland. During the past fifteen years, support from the U.S. foundation has been used for critical repairs, conservation, and restoration. 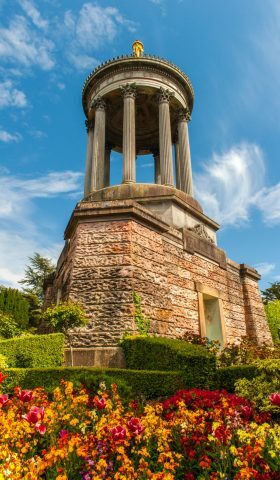 Among the recent projects supported by American donors are the restoration of the iconic Robert Burns Monument; gardens and conservation at Canna House, Isle of Canna; historic Culloden Battlefield; and educational programming at Culzean Castle on the Ayrshire coast.